Alleyways, awnings, and covered areas like greenhouses, or parking garages create even, flattering lighting. Point your subject toward your light source rather than placing it behind them. These locations work best mid-day when there is plenty of light outside. Pose your subject in a way that blocks the sun to keep your image from looking washed-out! This technique works best an hour or two before sunset. Ask your subjects about themselves: hobbies, school, and work. Express interest in their answers and connect with them to help them feel more comfortable in front of you! The more comfortable they are with you, the less likely they are to appear stiff in their photos. Posing is the most common concern my clients voice at our meetings. Very few things are more awkward than standing in front of a camera without instruction! Give your subject comforting guidance - simple tasks like "touch your hair" or "smile to the left" work well! Remember to encourage your subject by telling them that they look awesome! When giving your subject a pose, take photos of them moving in and out of the pose. 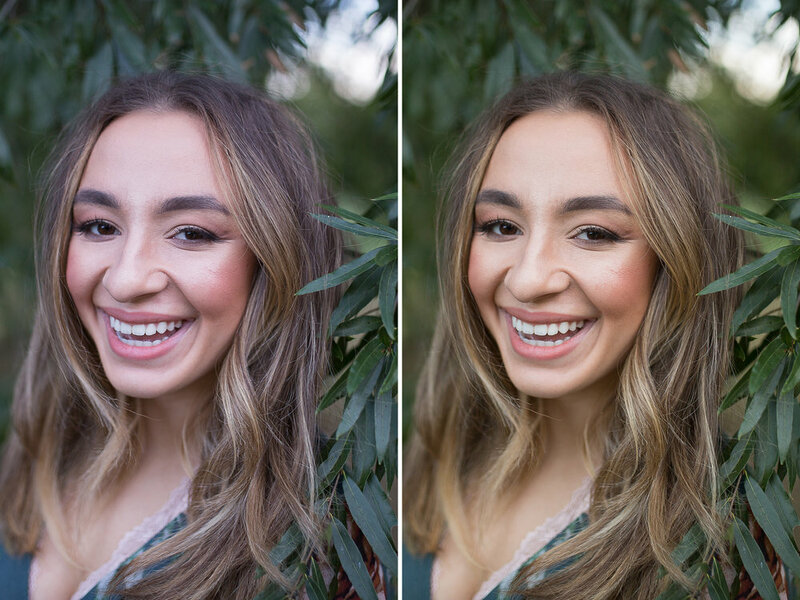 This will add life to your photos and help them look more candid! Bump up the contrast to give your photos an extra pop! Don't be afraid to slide it all the way up! When adjusting white balance, skin tones should look the same as they did in person. If they look green, add more magenta to the tint. If they look cool, increase the warmth. The HSL panel let's you adjust each individual color in your photo. 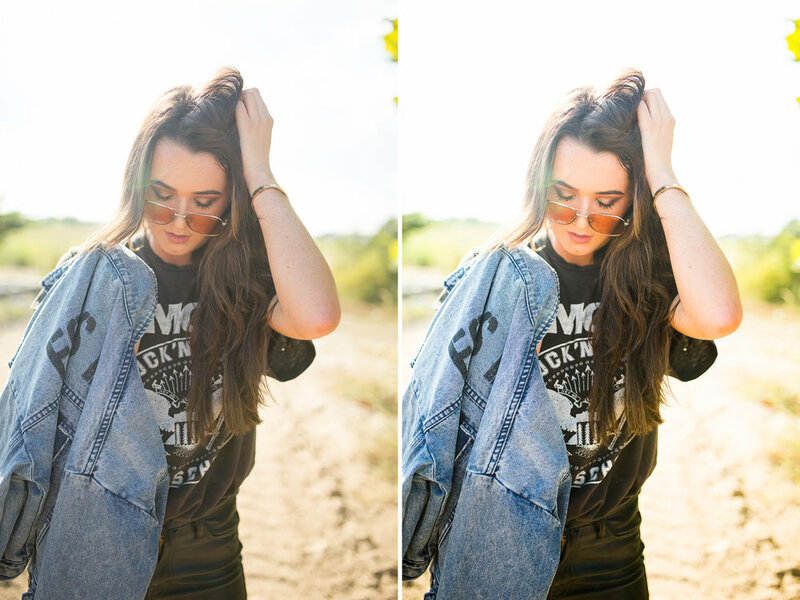 Use the Orange hue and saturation sliders to color correct skin tones. If skin is looking too red, slide the orange hue slider to the right. If it's looking too green, slide it to the left. Make skin look more natural by moving the orange saturation slider to the left.